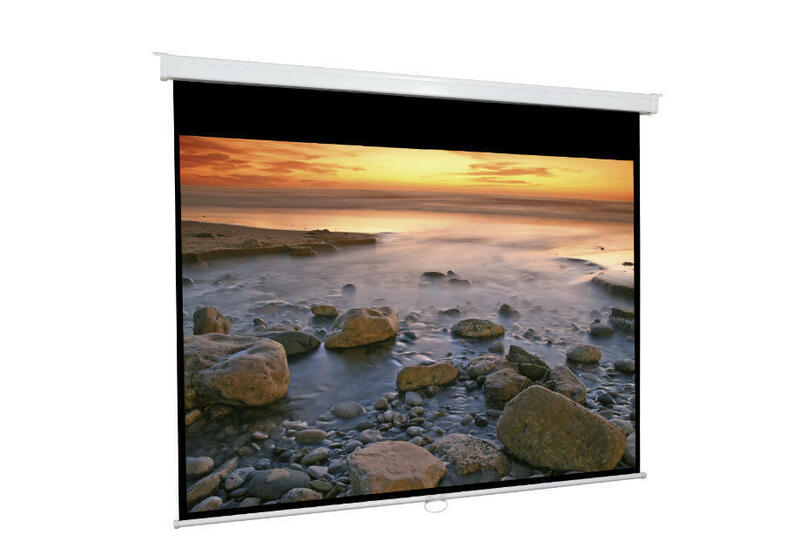 Electric projection screen with excellent price/quality ratio. Available in various sizes in formats 1: 1 and 4: 3. Your steel housing painted in black and white tops , for installation on ceiling or wall. Available radio frequency remote control included, the receiver includes manual switch actuation. Black side edges and upper black drop extra in 4: 3. Easy fix system for quick installation. White cloth picks on back in black.